I cannot believe it is November already..we are approaching the end of 2013..wow! 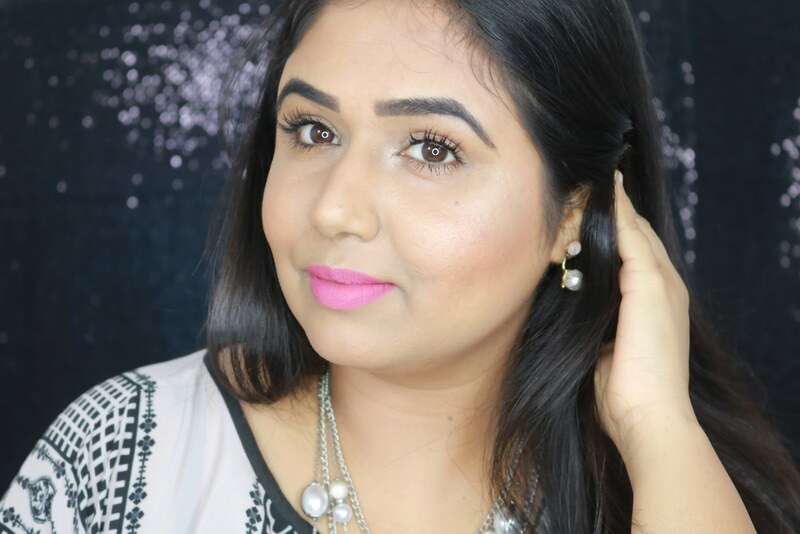 Since Diwali is right around the corner I thought I'd review my most favorite cream eye shadow which is perfecttttttt for this festive season and it is MAC Genuine Treasure Paint Pot! It came out last year with the Posh Paradise Collection so unfortunately it was limited edition but I recently found a good dupe for it so if you want to know more about the product keep on reading! I picked Genuine Treasure from my local MAC store for 1350/- last year when it came out with the Posh Paradise collection. It comes in standard MAC paint pot packaging of a glass jar with black lid...nothing too fancy but it definitely is sturdy and convenient for traveling. MAC described Genuine Treasure as "Antique Gold" and I think that it the perfect description for this shade. 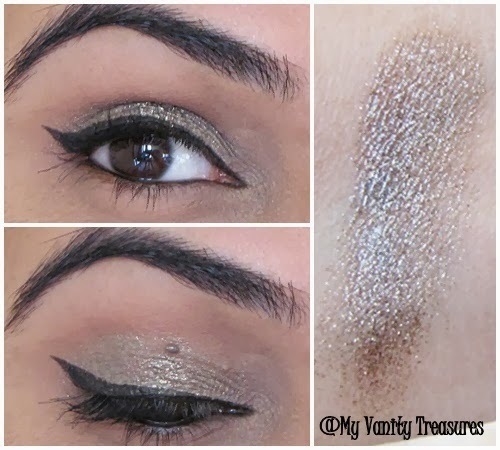 It has shades of olive..taupe..and gold mixed together in a creamy glittery texture. The glitter is not chunky at all to touch but feels very soft and creamy. There are no fall outs at all while applying. It can be applied very sheer or layered to get opaque color and finish. It dries pretty fast so one has to be quick enough to blend the paint pot before it sets. Once it sets it does not crease or fade at all however if you rub your eyes by mistake the glitter does tend to come out. When the light hits it almost gives a wet or metallic look to the eyes which is simply stunning! As mentioned the staying power is amazing and it stays on my lids for the entire day until I remove it using an oil based makeup remover. It works well as both when used all alone and when used as a base for your eye shadows. I love to use this underneath my richer darker shades like blacks and browns especially when I am working with matte shades and I don't want the shadow to appear very flat. With Genuine Treasure underneath the matte shadows don't look as flat and it gives a certain dimension to the entire look..absolutely love it! Overall this is definitely one of my best purchases from MAC and I definitely recommend it to everyone! You can still check out at your MAC counters if they have this one available or I hope MAC releases it again soon or best make it permanent! The dupe I was talking about is also from MAC and its their Reflects Antique Gold Pigment. When used foiled its as same as Genuine Treasure! Do check that out if you can't get your hands on the paint pot. Rating:- 5 out of 5! I hope the review was helpful, until next time take care and have a blessed Diwali! paint pots are saviors naa! I want this now. looks so fab!!! Totally agree with you Bee! this is a must have! I love mac paint pots they are awsome will add this one to my list ! Lovely eyemakeup dear ...I got painterly paint pot and its awesome as a base ! loved this shade too. Oh Painterly is a cult favorite! Thanks Pree! so glad you picked it up! This is a must have Aarthi! thank you!